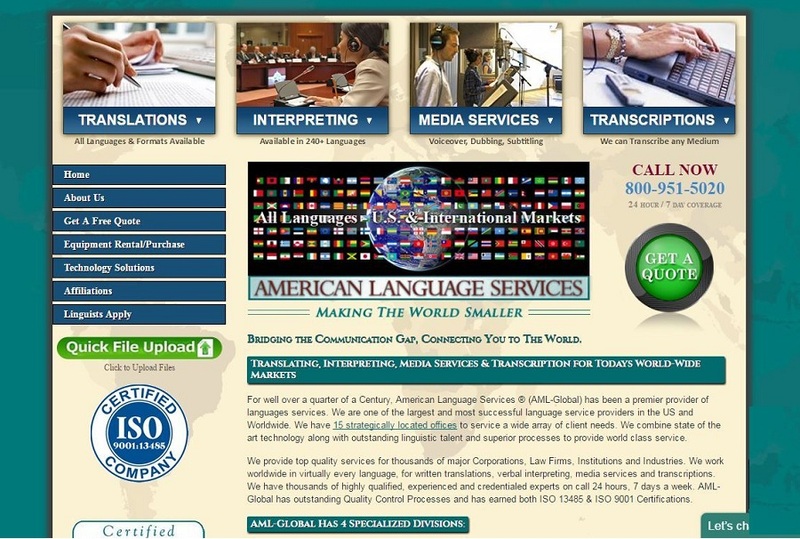 The challenge was to launch a newly designed website to position ALS® as the leader in Interpreting, Translating & Transcription Services. Our team focused on getting their website an increase in traffic and top placement in multiple cities nationwide for popular Keywords. The goal was to increase revenue through quality traffic to the website that lead to sales for big ticket items. Incorporating the new ALS® generated logos and color scheme. Creating a style guide for website/brand cohesiveness. Modern, Up-to-Date Design that promotes ALS® as a leader in their field. Simplified ‘Request a Quote’ functionality. Applied Best Practices Search Engine Optimization. Applied the GOiMarketing Tool-Kit for increased exposure. Adoption of Google priorities such as Video Marketing and Local Business Marketing. Incorporated online Press Releases into the SEO plan. Managed Multiple Nationwide, Local Campaigns and Ad Groups without going over their budget. Created and Implemented Text, Image and Animated Ads into the campaigns to increase overall conversions. Created Optimized Listings for their office locations nationwide. Submitted each location to the Google, Yahoo, and Bing maps as well as several other search engines and directories. Geo-targeted keywords added to the site along with pages for each city. Create Press Releases to Target potential Customers. Release Optimized versions of the Press Releases online. Drive Press Release traffic back to the website. now dynamic and powerful. All programs are tied together and supportive of each other. Internet marketing practices and Search Engine Optimization had proven very successful to traffic and more importantly, revenue. Before : 5,717 monthly visitors. After : 13,931 monthly visitors.